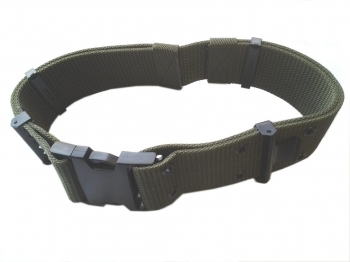 New heavy duty olive green pistol belt. Heavy duty canvas webbing approx. 56mm wide. Adjustable from 26 inch to 46 inch. Quick release plastic clip.